Months of hard work, unfortunately, don’t automatically translate into spectacular performances! Returning to sport can be difficult, but as long as you have done what your rehab required of you (and have learned to be brave along the way), you’re ready. Participating in your sport again can be scary, but I bet you’ll feel more exhilarated to be back than nervous about what could happen. That’s always how I’ve felt! You don’t do rehab to go back to sport and think about every movement you make! You do rehab to teach your body to move correctly, and do enough of it that those movements become second nature. Then, when you’re playing your sport again, being your best is all you have to think about. Some people itch to get back on the field (or whatever), and other people get obsessive about the rehab process. I’m somewhere in between! Wherever you fall on the patience/impatience or rehab like/dislike spectrum, the hours and hours of teaching your body how to move should always be your secret mental weapon. 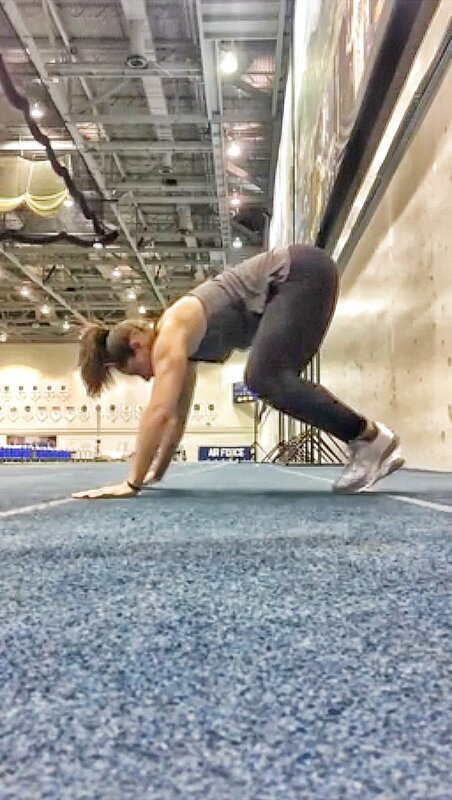 When preparing to re-enter the sports world after injury, my strength has always come from knowing how hard I worked in physical therapy, and trusting the people I chose to work with and the strength I built to do its job. The great Chris Garcia told me during my ACL rehab, “You’re not 100% until you’re 100%.” I have video of the first time I threw with any speed beyond a walk again after knee surgery, and the joy is contagious. I almost cried. The javelin went probably 40 meters. Everyone starts somewhere when returning to sport: Keep all of the hard rehab work in mind and approach re-learning your event in the same way. Little victories add up to all-of-a-sudden being 100%. The magic moment when you execute a movement that might have been what injured you or what has been hurting throughout the healing process will surprise you, and then you’ll want more. That’s when you know you’re back! I did twice-weekly intensive knee rehab sessions all the way through the 2014 season. I have one or two knee rehab exercises in every single warm-up I do in my training. On recovery days, I throw shoulder and knee rehab stuff into my routine. Recovery for the specific joints that have given me trouble in the past is always top priority. My right shoulder developed an impingement after my left shoulder surgery, so rehab on both continues to be part of my regular routine. Adding rehab exercises on top of your regular training can mean you get overtrained. Talk to your coach and develop a system to build rehab into training! 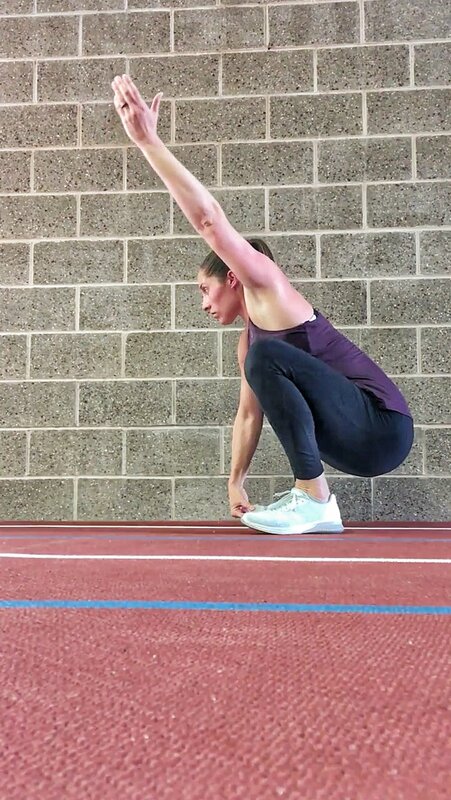 It’s incredibly important, and there are ways to make rehabilitation exercises sport-specific, even if that just means you’re thinking about how to correctly move a joint while doing a tried-and-true drill. 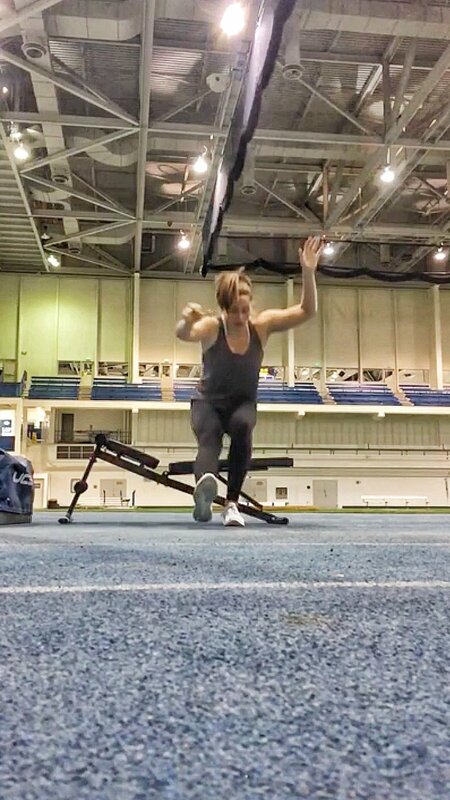 I’ve done it both ways (rehab as extra hours of training and incorporated rehab), and I much prefer making healthy movements part of my normal day (see my Instagram story for examples of this). 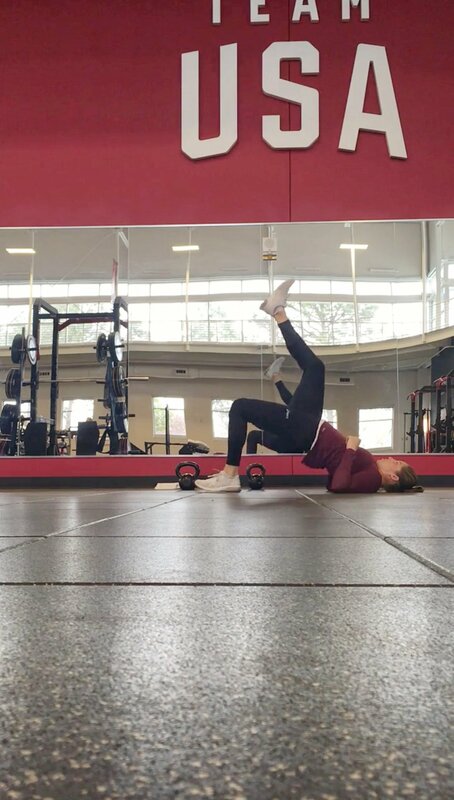 Reminding your body how to move correctly and THEN asking it to perform your sport means you have a better chance at staying healthy: You’ll recruit the correct muscle groups, meaning your movements are also more powerful. Translation? You’ll probably be a better athlete. Rehab is life. Recovery is always important. It’s really easy, once you feel like yourself again, to forget this lesson. Lots of sleep, ice/ice baths, other forms of cryotherapy, air pressure flush techniques (NormaTec), massage, chiropractic, ART, and stretching are just the beginning of ways you can help your body feel better. Keep recovering when you’ve re-entered sport! Your previous injury will feel really good at first, but if you don’t give it an opportunity to shove some swelling out, or you don’t allow all your other body parts to rest, you risk re-injury or hurting another area. Once in a while, I’m very good at spending a whole day at home with my dog, watching shows and trying new recipes in my kitchen, with intermittent NormaTec sessions. Reward that body of yours that healed so well with some laziness every now and again. 4. Live your best life! Keep in touch with whatever (outside sport) caught your interest during the healing process. Setbacks happen in returning from injury, so try not to completely abandon other things in life that make you happy when it seems that you’re back in action! Having my little family, finishing my MBA, renovating homes, practicing the piano again, spending time outdoors, and reading for fun don’t distract me from training, but make my training more effective. I’m happy all-around, therefore my attitude in training is great, sometimes even on frustrating throwing days! 2014 USAs in Sacramento (second season post-ACL surgery). Image by Mark J. Terrill. Coming back from injury can be glorious, but it might take more time than you prefer. Stay the course. Trust the process and the awesome team that you put in place. Rushing an injury is like kicking a big rock in frustration; seems like it will feel good to release some emotions, but just exacerbates the problem. You’ll know it when it’s time for a spectacular performance, and it will be 100% worth all of the hours you put into your healing. Say thank you to the people who helped you along the way. This third entry concludes my injury blog series! See parts one and two. What would you like to learn next? Comment!